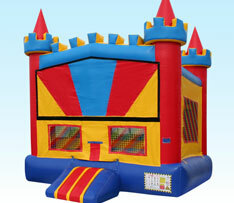 Jacksonville Bounce House Rentals for Birthday Parties, School Carnivals and Corporate Events! Bounce It Out Events is your premier inflatable bounce house rental company serving all of the greater Jacksonville, Florida area. We have produced some of the best events in the south including the states of Florida, Georgia, South Carolina and beyond! Whether you're looking for an inflatable bounce house rental for your child's party or full event planning for your company picnic, we have you covered! 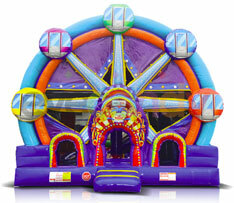 We carry the cleanest, commercial inflatables and party rentals that exceed industry safety standards. 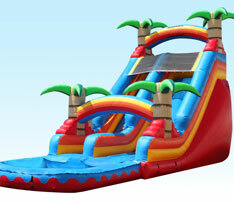 It gets hot in the south, so we also have the largest selection of inflatable water slides in Jacksonville! Planning a school carnival, church festival, city event or company picnic? Let us supply the carnival rides and catering for your event! We have offices located in Jacksonville, Florida and Brunswick, Georgia with deliveries all over the Southeast. With thousands of events produced annually, we have the expertise, equipment and staffing to take your event to the next level! Bounce It Out Events has a great selection of bounce house rentals. Our inventory includes bounce houses of all colors, shapes and sizes with a perfect piece sure to please everyone at your next event or party! 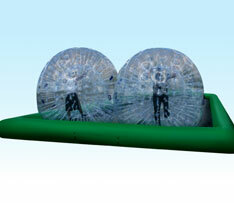 Bounce It Out Events has the absolute best selection of wet or dry combo bouncer rentals in Jacksonville, FL. We have several different colors, shapes, sizes and themes to make any party perfect! 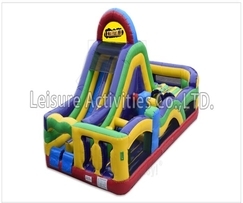 Bounce It Out Events has an awesome selection of water slides to keep you cool off this summer! From our Lil' Splash all the way to our 27ft water slides, we're sure to have the slide to make your party a splash! Bounce It Out Events has a wide range of inflatable obstacle courses to make your next backyard party, school carnival, church festival or college extravaganza a success! We have all sizes shapes and skill levels to choose from! Bounce It Out Events has a wide selection of interactive game rentals including our bungee run, human hungry hippos, wipeout big baller, quarterback challenge, wrecking ball, dunk tanks and more to make every event a huge success! 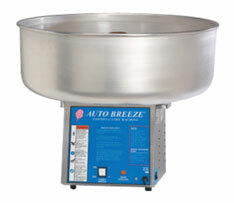 Bounce It Out Events has a wide selection of concession machines for any event. We provide snow cone machines, cotton candy machines, popcorn machines, funnel cakes, fried oreos, corn dogs, walking tacos and more for your next party! 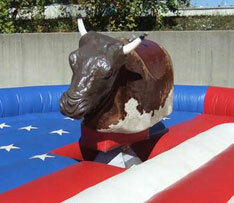 Bounce It Out Events has a the best mechanical bull rentals in Jacksonville FL! Can you last 8 seconds on one of our rowdy bulls? Bounce It Out Events has the hottest interactive game around! 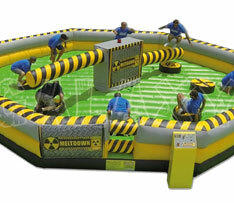 The 8 player Toxic Meltdown is the most popular interactive game out there right now! 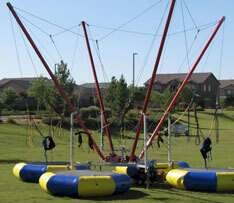 Bounce It Out Events has two awesome bungee trampolines available! We have the traditional Spider Jump and our new Spectrum V4 Ultimate Bungee! Proudly serving all of Greater Jacksonville FL, Brunswick GA, Orange Park FL, Kingsland GA, Savannah GA, Duval County, Glynn County, Camden County, Nassau County, Northern Florida, Southeast Georgia and all surrounding areas. © Bounce It Out Party Rentals, LLC. All rights reserved.